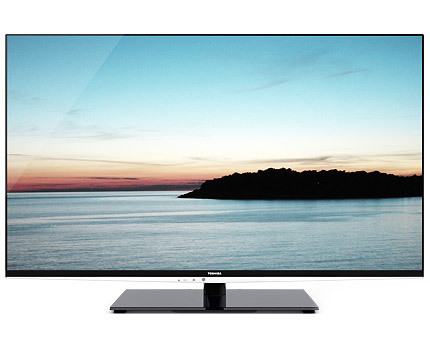 With a screen size of 47 inches, a frame so thin that makes you wonder and a price tag of £749.00, the TOSHIBA 47VL963B is a decent buy if you’re looking for an impressive flat screen TV. Also packing in features like 3D capabilities and a SMART platform, the TOSHIBA 47VL963B is everything you need for a complete multimedia experience. 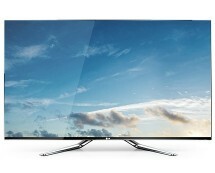 Buy it now from currys.co.uk for £649.00. TOSHIBA is one of the biggest and most renowned electronics brands worldwide, which is a pretty good indicator that they’re doing things right. 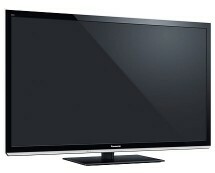 However, the TV market is among the markets with the fiercest competition out there so let’s see where TOSHIBA stands, with its 47VL963B TV. In terms of design, the TOSHIBA 47VL963B follows the style set by brands such as LG or Samsung, with clean lines and an ultra-thin frame surrounding the display. 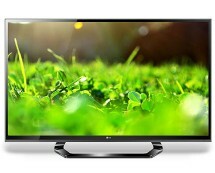 As a plus, the entire front side is covered with a layer of glass which gives the TV a luxurious look and feel. From the visual inspection we moved on to the testing phase, as we were quite eager to see if the TV will manage to impress us with its performance at least as much as it did with its appearance. The initial set up was easy and straightforward so in just a few minutes the TV was set and ready to go. We played several video samples including animation movies with flashy bright colours, some dark scenes from a horror movie and a soccer game; the overall performance was good, colour reproduction being the strong point of the TOSHIBA 47VL963B and lighting uniformity being its weakest. We were a bit surprised to notice some brighter spots on various screen regions during darker scenes, especially considering the fact that the TV uses LED lighting but we assume that, in an attempt to make the TV as thin as possible TOSHIBA might have compromised image quality a bit. On the 3D side the TV performed as expected, delivering just the right amount of image depth; we were also pleasantly impressed with the 2D to 3D real-time conversion feature. Integrated Wi-Fi connectivity is missing from the 47VL963B, which is a bit of a disappointment, but a Wi-Fi dongle is available separately for approximately £30; we used a classical Ethernet cable to get an Internet connection and, once again, everything went very smooth. Still, TOSHIBA’s online platform is not the richest out there, offering a few apps and services but being far behind LG’s or Samsung’s SMART worlds. 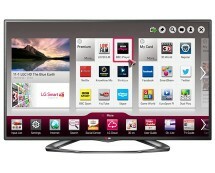 Alternatively, one could buy a smart TV dongle which would transform this Toshiba into an Android powered smart 3D TV. A chapter which managed to leave us with a very good impression is the audio side; the TOSHIBA 47VL963B comes with two 20 watts speakers that do an incredible job, outscoring 90% of the TV speakers we tested so far. Adding it all up, the TOSHIBA 47VL963B is a TV that manages to attract attention both with its design and its performance and, even though it has its downsides, it’s still a considerable option.